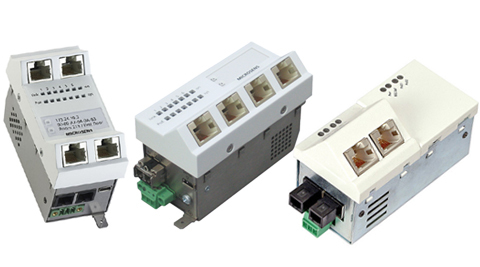 The FTTO switches offer rich power management functions like Power-over-Ethernet and energy- efficient Ethernet. With Fiber-to-the-Office, enterprises profit from a highly cost effective networking infrastructure that offers flexibility, protects investments, saves energy costs and reduces life cycle costs. Fiber-to-the-Office or Fiber to the Outlet (FTTO) is a cost effective premise cabling infrastructure for modern office environments that combines the benefits of fiber Switches and copper based technologies. FTTO technology is a future-proof, energy-efficient and economical LAN infrastructure. FTTO is a standard compliant and decentralised cabling concept for modern office environments. It combines the advantages of highly efficient fiber optic technology with the flexibility of twisted pair cabling. In contrast to the conventional copper based structured cabling network (SCN), FTTO additionally employs future-proof fiber optic cable for riser cabling and horizontal cabling. Copper cabling only comes to play to connect terminal equipment like workstations, VoIP-Phones, IP-cameras or wireless access points.